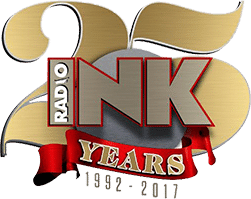 Here is our extended interview with the 2018 Radio Ink Radio Wayne sales Manager of The year. Katie Philippi: I graduated from the University of Nebraska — Lincoln with an advertising degree. At that time I thought that I would work in an advertising agency. However, with limited agencies located in Lincoln and tons of competition for the few opening there were, I knew I would need some experience to get on the radar at regional companies. I was open to most any related business opportunity and applied for multiple positions, including marketing firms in and out of state, television stations, magazines, newspapers, and local radio stations. I had interviews with several companies within a couple weeks, one of them with what was Three Eagle Communications at that time. I interviewed with the local General Manager, Sales Manager for the CHR station, Sales Manager for the News Talk station, and the regional President of Sales Training. Talk about the gauntlet. The people I met at that initial interview are the reason I chose to get into this industry, as well as a big part of the reason I have never left. They were all very open, diverse in philosophy and style, not afraid to challenge me, and of course they were all their own version of crazy. I never looked back and have been with this company, which has now changed ownership twice, ever since. Katie Philippi: I got into sales to practice through real-world experience the “skills” I had acquired in college. Little did I know that I would learn more in one month as a radio salesperson than an entire course of university studies. I started as an Account Executive representing a single station, KFRX. After just a year with the company we acquired four additional properties from one of the local competitors (a Clear Channel buyout) and as part of the shake-up we reorganized our sales force. Thrust into the atmosphere of trying to hold it together amongst the chaos that comes along with a merger, I gravitated toward the organizational and supportive roles that fall within the management realm. After voluntarily contributing in this capacity for some time, my role was formally modified to Team Leader, and then Sales Manager in 2008. Over the past 10 years, my day-to-day role as a sales manager has changed often. This is part of the reason I am still so invigorated by the career. Radio Ink: What is the key to successfully managing salespeople today? Katie Philippi: I believe that successfully managing salespeople requires developing an incredibly high level of trust on both sides, the ability to enforce rules/restrictions/expectations without hindering autonomy, and an intimate understanding of the job that you are asking others to do. Katie Philippi: With the majority of individual client revenue growth stemming from associated digital products that ultimately contribute to the overall spend in that category as well as mobile, radio’s actual share is likely under projected to some extent. Brand oriented revenue growth provides an opportunity for share increases in years to come. The challenge is, and will continue to be, controlling pure growth for brand-oriented products without migrating dollars from traditional. Ironically, our consistent reach and longstanding efficiencies have in some ways become our own worst enemy as we work against stagnant CPP and CPM models. Finally, a somewhat layered marketing/advertising personnel approach that has come to exist within many companies challenges our ability in some situations to prescribe a fully integrated approach – which is where local audio brands really shine in my opinion. If, and when, full and early access to a client’s decision-making and strategic marketing team is available, the opportunities for growth are awesome. Our success in capturing share will surely come from being involved in a deeper more immersive fashion with more advertisers. Radio Ink: What are your top three sales challenges and how are you overcoming them? Finding good salespeople. Imploring our entire staff to be aware of the constant need to add to our team, so that they can be vigilant in recognizing good candidates they come across, has been helpful. Access to/understanding of the client’s strategic vision. Modifying the traditional needs analysis and information gathering process to allow for client-centric deep-dive dialogue and customized recommendations allows for stronger tactic implementation and more impactful post-campaign evaluation. Maintaining focus. In the rapidly changing climate of social media, rich media, trending topics, buzzwords, apps, algorithms, blogs, influencers, reviews etc. the ability to maintain focus (or rein in clients’ focus) on the overall campaign structure proves increasingly challenging. At the same time, it is what makes the future of localized audio-fueled campaigns so exciting. Assisting/consulting with clients on as many aspects of their campaign as possible helps maintain this focus. Collaborating with colleagues/vendors that also serve the client and enlisting feedback from personal networks proves effective. Radio Ink: What are the best three ways to find great salespeople? Radio Ink: Give us one success story about your team that you are most proud of over the past year. Katie Philippi: This past fall our local cluster took on a first-time event, a children’s expo. With a relatively small staff, and somewhat aggressive timeline, it took the participation and dedication of each and every member of our team to pull it off. Not just the sales team, but programming, support staff, part-time employees, you name it. The collaborative effort, utilizing skills, connections, ideas, creativity, ingenuity, personal experience, relationships, and a lot of hard work solidified my belief in live-and-local once again. In the end, we did not have the attendance we were hoping for at the event, a common challenge with first-year events. However, we were proud of what we produced, we turned a profit, and we learned a lot. Radio Ink: What advice do you have for other sales managers who are out there fighting the good fight for radio? Work just as hard on boosting your company’s brands/products as your client’s. Be aware of the shiny thing, but don’t let it take you off course. Care about the success of your team, more than your own.